The Westpac Global Currency Card is a prepaid card that allows you to spend like a local whilst you’re travelling overseas or shopping online. 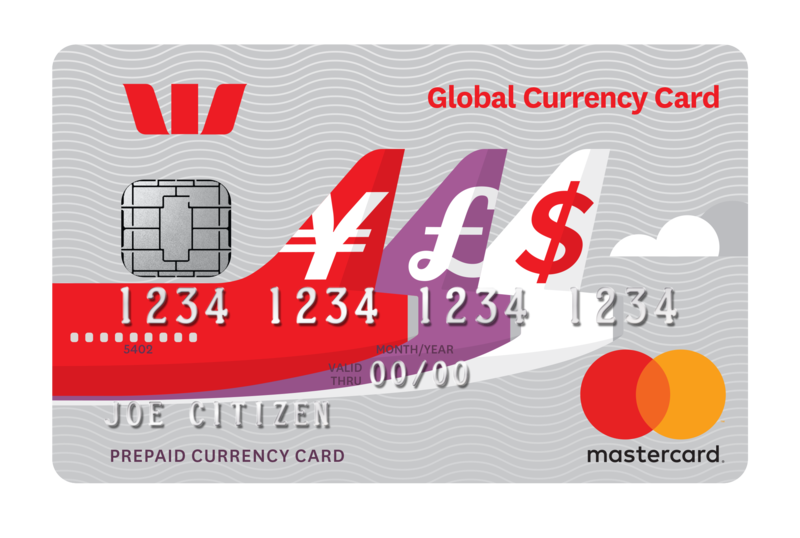 The Westpac Global Currency Card is a prepaid multi-currency travel card that will allow you to spend like a local when you’re travelling overseas or shopping online internationally. See all of the benefits on the features page. ~The exchange rate for each Load/Reload is locked in at the prevailing exchange rate at the time of the transaction. Mastercard will notify customers via the website of the rate that will apply at the time they request the Load/Reload. # Other fees and limits apply. ^ Contactless payments are only available at participating merchants. Payment limits vary by country. * Excludes offline merchants, please see our FAQs on Card Acceptance for more information. A Product Disclosure Statement for the Westpac Global Currency Card is available. You must download and read these before applying. The Westpac Global Currency Card is an unsecured debt security issued by Travelex Card Services Limited (“Travelex”), a member of the Travelex Group. All obligations in relation to money deposited on a Westpac Global Currency Card are obligations of Travelex. The Westpac Global Currency Card is not guaranteed by any member of the Travelex Group, the Westpac Group, the Mastercard Group or any other entity. The Westpac Global Currency Card is issued subject to the terms and conditions which are available below. A Product Disclosure Statement for the Westpac Global Currency Card is available below. The Westpac Global Currency Card is arranged by Mastercard Prepaid Management Services (NZ) Limited and is distributed by Westpac New Zealand Limited. Mastercard Prepaid Management Services (NZ) Limited and Westpac New Zealand Limited will receive commission payments as a result of the arrangement. Information has been prepared without taking into account your objectives, financial situation or needs and you should consider the appropriateness of the information about the Westpac Global Currency Card facility before making any decisions about whether to acquire or continue using the prepaid facility. Mastercard® and the Mastercard brand mark are registered trademarks, and the circles design is a trademark of Mastercard International Incorporated.